What do you get someone who works for an ME's office? 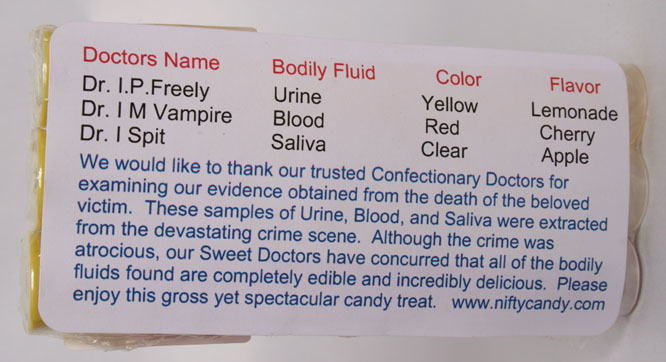 Their own crime scene candy! Three tubes of Blood, Spit and Urine! Packaged and sealed for your protection. 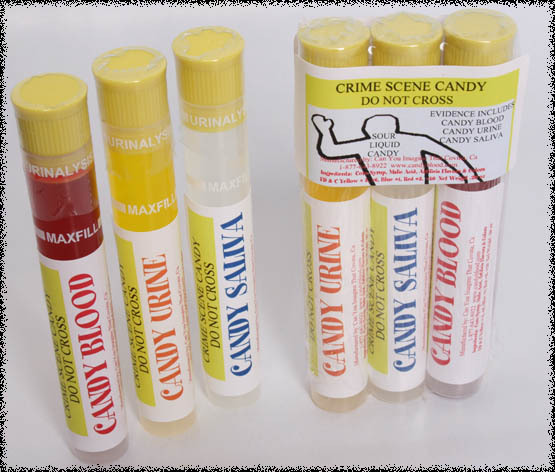 These are real test tubes filled with incredibly realistic looking candy.